MA, MI, MC and RH designed the study. MA, AIA, NUK, MK, MAK, MA and MSH did the sampling and field work. IQ, GR, and IH did the lab work. MLS and IK did the statistical analysis and wrote the article. Camel, Subclinical mastitis, Risk factors, Staphylococcus aureus, Cholistan desert area, Suleiman mountain range. Mastitis, an inflammatory disease of udder, in all of its manifestations is health and production compromising disease. The economic losses due to mastitis are in the form of milk deterioration, treatment costs, low milk prices due to quality deterioration with increased somatic cell count, higher labor involved in animal treatment and higher culling rates. A single clinical case was estimated to cause USD 21$ loss (Sinha et al., 2014) and is listed among the diseases causing the maximum economic losses (Fareed at al., 2016). Subclinical form of mastitis is thought to be more than 70% of all types of mastitis manifestations (Abebe et al., 2016). The single quarter infection due to major mastitis pathogen was noted to cause 30% reduction in milk production (Jones and Bailey, 2009). The prominent bacterial causes of camel mastitis include Staphylococcus aureus (S. aureus), Streptococcus agalactiae, Streptococcus dysgalactiae and E. coli (Aqib et al., 2017b). S. aureus is the major pathogen that can induce clinical or subclinical mastitis with huge economic losses (He et al., 2016). This pathogen alone accounts for 20.35% prevalence in the world where as Pakistan observes 52.3% (Ahmad et al., 2012; Sarwar, 2013). Its presence in the micro or macro-environment causes serious intra-mammary infection (Radostits et al., 2007), impairing alveolar physiology by destroying alveolar and ductal cells. These damaged cells may combine with leukocytes to clog the milk ducts that drain the alveolar areas, contributing to further scar tissue formation, occlusion of ducts, and decreased milk production (Mbuk et al., 2016). S. aureus executed intramammary infections are chronic because the bacteria avoids killing by hiding in neutrophils and other host cells (Petersson-Wolfe et al., 2010). The camel is well adapted to arid and hot environment and is spread across 47 countries (FAO, 2001) blessed with dairy characteristic holding maximum milk production of 40 liters per day (Faye and Bonnet, 2012). The population is increasing at faster rate (Nagy et al., 2013) with ten times higher milk consumption than to that of meat and has gained access to markets of Gulf countries (El-Agamy and Khatab, 1992). The camel udder has been reported to be suffering from mastitis in various parts of world. To the dismay of this species, epidemiological studies are scarce despite of recent reports published with emphasis on this ailment. The estimation of prevalence and its associated risk factors is inevitable for preventive strategies. Bearing in mind the importance of camel mastitis, the current study was planned to investigate the status of S. aureus caused subclinical mastitis in distinct agro-ecological zones of Pakistan. Cholistan desert is located in the South–West of Punjab, Pakistan, having an area of 26,000 sq. kms. It is located between latitudes of 27° to 42° and 29°N and longitudes of 57° to 60°E. Cholistan desert is home to 11328 camels, providing the only source of income to the marginalized desert dwellers (Ali et al., 2009). The Suleiman mountain range is located at 29°37’-31°70’ and 68°06’-70°20’ at North latitudes and East longitude, 600-1350 meters above the sea level. Temperature reaches 40°C in summers while drops below freezing point in winters (Wikramanayake, 2002). Where, n is required sample size, Pexp is expected prevalence and d is desired absolute precision, keeping in view 50% of prevalence with 95% confidence interval. A total of 768 dromedary camels reared by farmers and pastoral families in Cholistan desert (n=384) and Suleiman Range (Barkhanand Tribal Area Dera Ghazi Khan, n=384) were included in this study. A dichotomous type questionnaire was constructed to find out risk factors to gather data about teat dipping, teat abnormality, age, parity, and lactation stage, rearing system, water source, tick infestation, feeding system, and body condition of animal. Lactating camels were screened for subclinical mastitis using California Mastitis Test (CMT) kit (Cat. No. 170361, Bovi-Vet, Kruuse, Denmark) as described by (Schalm et al., 1971). The camels, positive for subclinical mastitis through CMT were selected for isolation and identification of S. aureus. Milk samples were aseptically collected from positive quarters for isolation and identification of S. aureus. Briefly, 2mL of CMT positive milk sample was centrifuged at 2000 g for 10 min. The sediment was streaked on to blood agar (Columbia agar base having included 5% defibrinated sheep blood) and was incubated for 24 to 48 h at 37oC (Cruickshank et al., 1975). The colonies grown on blood agar were sub-cultured on mannitol salt agar. The typical round colonies were projected for Gram’s staining, catalase test and coagulase test to identify S. aureus as per directed by Bergey’s Manual of Determinative Bacteriology (Buchaman and Gibbons, 1974). Prevalence of mastitis and bacterial isolates were calculated as described by Thrusfield (2007). The association of risk factors with mastitis was determined by Pearson’s chi square test at 95% confidence interval (P<0.05) using SPSS version 22 (SPSS, 2013). Overall CMT based prevalence of subclinical mastitis was 47.14% in camels of Cholistan desert and Suleiman mountain range. A non-significant difference (P>0.05) was observed between study areas. Prevalence of subclinical mastitis in Yazman area of Cholistan desert was the highest (49.79%) followed by Rakni and Tribal area of Suleiman range presenting 47.15% and 45.59% respectively. Interestingly, prevalence of S. aureus from subclinical mastitis samples differed significantly (P<0.05) among different areas within each distinct zone whereas no significant difference was recorded between two distinct study areas on collective prevalence basis (Table I). The overall S. aureus prevalence was found 53.03% from this study with higher prevalence (P<0.05) recorded in Cholistan desert (57.84%) area followed by Suleiman mountain range (48.02%). Table I.- Prevalence of subclinical mastitis and Staphylococcus aureus prevalence in two distinct zones of Baluchistan and Punjab. Table II.- Association of determinants with subclinical mastitis in two distinct zones of Baluchistan and Punjab. Table III.- Prevalence of blocked quarters of She camel due to mastitis in two distinct zones of Baluchistan and Punjab. Values in parenthesis are percentages. FR, front right; FL, front left; RR, rear right; RL, rear left. P<0.05. Table IV.- Quarter based prevalence of subclinical mastitis in two distinct zones of Baluchistan and Punjab. The chi square test showed that teat dipping, age group, parity number and body condition are significantly associated (P<0.05) with subclinical mastitis (Table II). Teat abnormality was significantly (P<0.05) associated with mastitis in Cholistan while no such association (P>0.05) was noticed in animals of Suleiman range. The determinants like camel rearing system, water channels source, tick infestation and feeding system presented no association (P>0.05) with subclinical mastitis. Table III shows significant (P<0.05) higher prevalence of blind quarters in Cholistan area (11.59%) as compared to Suleiman range (8.46%). The prevalence of rear right (RR) blockage differed significantly (P<0.05) between the two study areas. The prevalence of blocked quarters within each zone was found significantly different (P<0.05) among all four quarters. The highest prevalence was noticed in case of rear right (RR) (14.84%) from Cholistan desert while front right (FR) (11.20%) in Suleiman range. 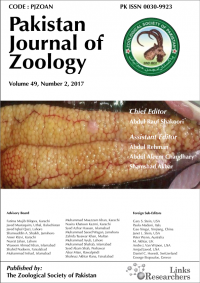 This study was conducted to determine the influence of climate on the prevalence of S. aureus caused subclinical mastitis in camels of distinct ecological zones of Pakistan. Results showed astonishingly higher rates of prevalence in study areas. Findings of the current study was in line with the previous reports of Aqib et al. (2017b) and Ahmad et al. (2012) who reported 41.67% and 46% prevalence of subclinical mastitis, respectively, and Abdulkadhim (2012) and Wanjohi et al. (2013) from Kuwait and Kenya reporting 43% and 60%, respectively. Contrary to these, lower prevalence was noticed by Abera et al. (2010), Abdurahman (2006) and Bekele and Molla (2001) which can be attributed to variation in geographical area, rearing practices and hygienic farm management. Ahmad et al. (2012) reported 42.19% prevalence of S. aureus in Pakistan. The higher percentage of S. aureus can be related to poor farm management and unhygienic milking practices that might have led to robust spread of this contagious pathogen in camels (Radostitis et al., 2007). The significant association of determinants like teat dipping, age group, parity number and body condition with mastitis was found in line with findings of Aqib et al. (2017a), Husein et al. (2013) and Ahmad et al. (2012), whereas rearing system, water channel source, tick infestation and feeding system determinants of current study contradicted with findings of aforementioned studies. This variation is may be because of better rearing practices system in areas where camel rearing is sole business. The poor udder hygiene, under feeding and thin body condition provide favorable environment to bacterial pathogenesis development (Mbuk et al., 2016). Tying the teat of camel with string to avoid calf suckling is common practice among camel rearing masses, which injures the udder and favors bacterial entry into teat (Woubit et al., 2001). The dry animals are more prone to mastitis because of late formation of keratin plug at teat, reduced leukocyte, and diluted lactoferrin, inactivation of immune system and lack of flushing activity (Smith et al., 1985). Quarter based prevalence of subclinical mastitis was found to be coherent with the results reported by Ahmad et al. (2012), whereas lower rates were reported by Aqib et al. (2017a). The discrepancy in results of various studies lies in overall prevalence status and associated risk factors of research area. Lack of sanitary conditions at farm and unhygienic situation during milking led to higher prevalence rate (Shittu et al., 2012). The higher infection status in right quarter side is suspected because of left sided milking that may spread infection to other side of quarter because of contaminated milking setup (Shittu et al., 2012). The higher teat blockage in current study might be because of untreated cases due to unavailability of veterinary services in remote areas and irrational treatment approaches. 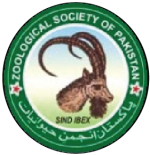 We acknowledge the efforts of Dr. Hassan Mujtaba, Dr. Sajjad Sultan, Dr. Shah Nawaz, Dr. Shaukat Ali, Para- Veterinary Staff and local people who provided assistance in sample collection. The authors state that except for primary sample collection there was no use of animals throughout this research work and all the respondents gave consent for questionnaire. Abdulkadhim, M.H., 2012. Prevalence of methicillin resistance Staphylococcus aureus in cattle and she-camels milk at Al-Qadisyia Province. Al-Anbar J. Vet. Sci., 5: 63-67. Abdurahman, O.A., 2006. Udder health and milk quality among camels in the Errer valley of eastern Ethiopia. Livest. Res. Rural Dev., 18: 3-11. Ali, I., Chaudhry, M.S. and Farooq, U., 2009. Camel rearing in Cholistan desert of Pakistan. Pak. Vet. J., 29: 85-92. 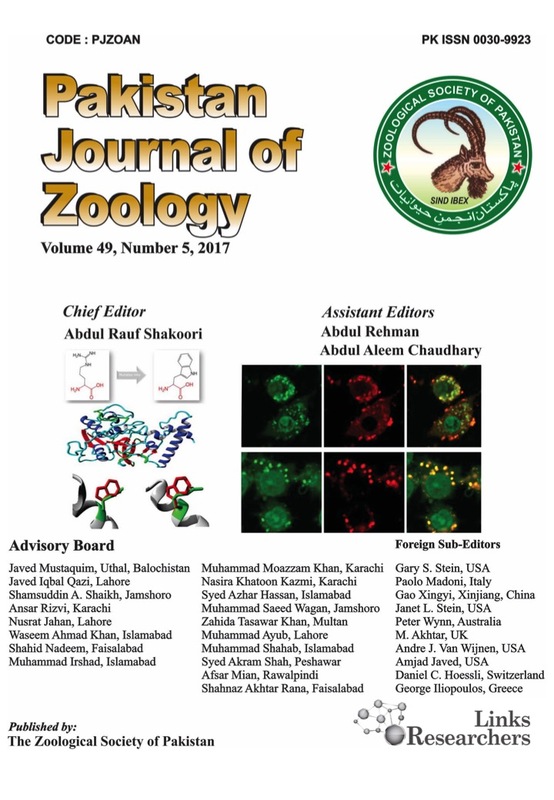 Aqib, A.I., Ijaz, M., Hussain, R., Durrani, A.Z., Anjum, A.A., Sana, S., Farooqi, S.H., Hussain, K. and Rizwan, A., 2017a. Identification of coagulase gene in Staphylococcus aureus isolates recovered from subclinical mastitis in camels. Pak. Vet. J., 37: 160-164. Bekele, T, and Molla, B., 2001. Mastitis in lactating camels (Camelus dromedarius) in Afar Region, north-eastern Ethiopia. Berl. Munch. Tierarztl. Wochenschr., 114: 169-172. Buchaman, R.E. and Gibbons, N.E., 1974. Bergey’s manual of determinative bacteriology. Williams and Wilkins, Baltimore, pp. 654-701. Cruickshank, R., Marman, J.P. and Swain, R.H.A., 1975. Medical microbiology, 12th Ed., Vol. II. Churchill Livingstone, Edinburgh, pp. 236-244. El-Agamy, E.I. and Khatab, A.A., 1992. Physicochemical and microbiological characteristics of Egyptian human milk. Alexandria J. agric. Res., 37: 115-126. FAO, 2001. Production year book. Food and Agriculture Organization, Rome, Italy. Faye, B. and Bonnet, P., 2012. Camel sciences and economy in the world: current situation and perspectives. Proc. 3rd ISOCARD Conference, 29th January-1st February, 2012, Mascate, Sultanate of Oman, pp. 2-15. He, Y., Song, M., Zhang, Y., Li, X., Song, J., Zhang, Y. and Yu, Y., 2016. Whole-genome regulation analysis of histone H3 lysin 27 trimethylation in subclinical mastitis cows infected by Staphylococcus aureus. BMC. Genomics, 17: 565-576. Husein, A., Haftu, B., Hunde, A. and Tesfaye, A., 2013. Prevalence of camel (Camelus dromedaries) mastitis in Jijiga Town, Ethiopia. Afri. J. agric. Res., 8: 3113-3120. Jones, G.M. and Bailey, T.L., 2009. Understanding the basics of mastitis. Virginia Cooperative Extension, Virginia State University, USA, Publication No. 404-233, pp. 1-7. Radostits, O., Gay, C., Hinchcliff, K. and Constable, P., 2007. A textbook of the diseases of cattle, sheep, goats, pigs and horses. In: Veterinary medicine, 10th edition. Bailliere, Tindall, London, UK, pp. 1576-1580. Sarwar, N.U., 2013. Clinico-bacteriological characterization of mastitis in Cholistan camel breeds in Rahim-Yar Khan, Pakistan. M. Phil thesis, Faculty of Veterinary Sciences, University of Veterinary and Animal Sciences, Lahore, Pakistan. Schalm, O.W., Carroll, E.J. and Jain, N.C., 1971. Bovine mastitis. In: Bovine mastitis: A symposium. Lea and Febiger, Philadelphia, USA. SPSS, 2013. IBM SPSS statistics for windows, Version 22.0. IBM Corp., Armonk, NY. Thrusfield, M., 2007. Veterinary epidemiology. Blackwell Science, USA, pp. 180-181. Wanjohi, M., Gitao, C.G. and Bebora, L., 2013. Subclinical mastitis affecting hygienic quality of marketed camel milk from North-Eastern Province, Kenya. Microbiol. Res. Int., 1: 6-15. Wikramanayake, E.D., 2002. Eco-region number 42, Eco-region name: Suleiman Range Alpine Meadows. Terrestrial Ecoregions of the Indo-Pacific: A Conservation Assessment. Island Press, Washington DC, USA, pp. 367.